Appearance (0-20): If you're familiar with the LP line, you'll know that they are all well done. The deep, dark, oily wrapper is such an eye-catcher. It is wrapped like any other LP smoke, very well done. For a corona, this even sports a small pig tail. 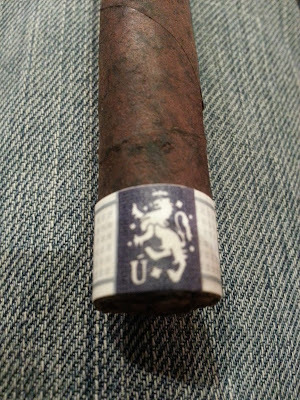 The band is fairly simple, sitting at the foot of the stick and designating its origins; Liga Privada. Construction (0-20): Coming into this smoke, I've heard A LOT about it. Almost too much. Regardless, you may or may not know that it is a short filler cigar. During the smoke, you would never know that fact. The burn was sharp and even all the way down, it burned fairly cool for a corona, and most surprising was the ash. The ash coiled nicely, and held on for easily an inch at a time. Color me impressed. Strength (0-20): While it didn't seem too strong, the fullness of the flavors seem to add to the strength. It probably sits right around the middle of the scale of medium/medium-full. Flavor (0-20): If you have smoked the No. 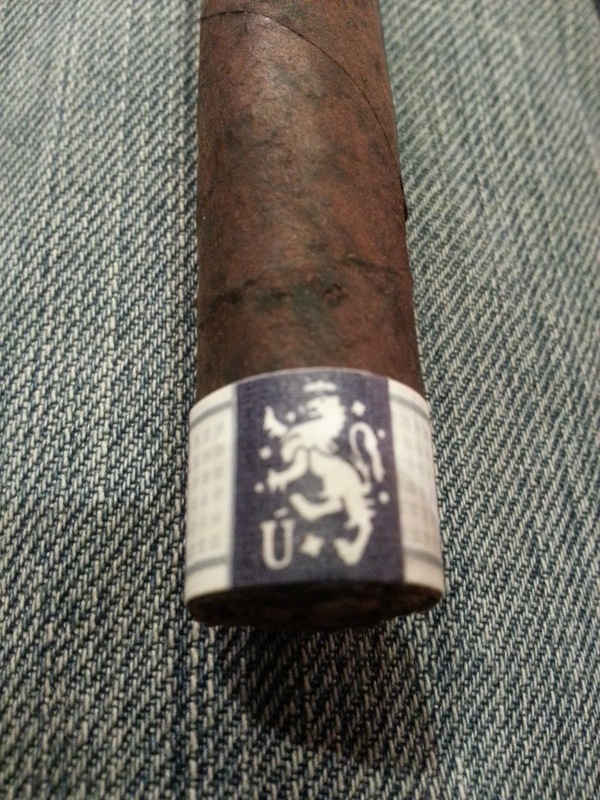 9 or T52 before, you know how rich and robust the flavors are. This is kind of like its little brother. 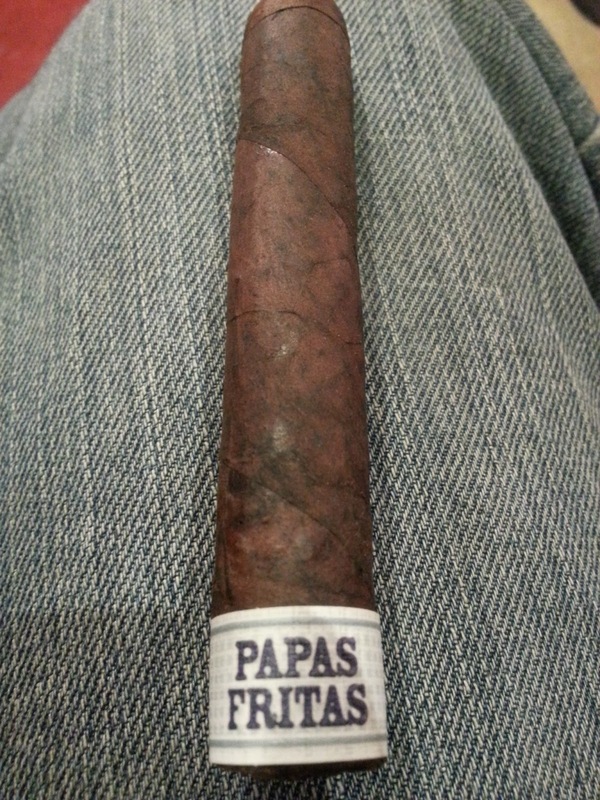 There is a bit of spice in the beggining and then subsides a bit into the heart of the cigar. The same chocolaty espresso flavors are present for the entirety of the cigar, but they aren't as robust. 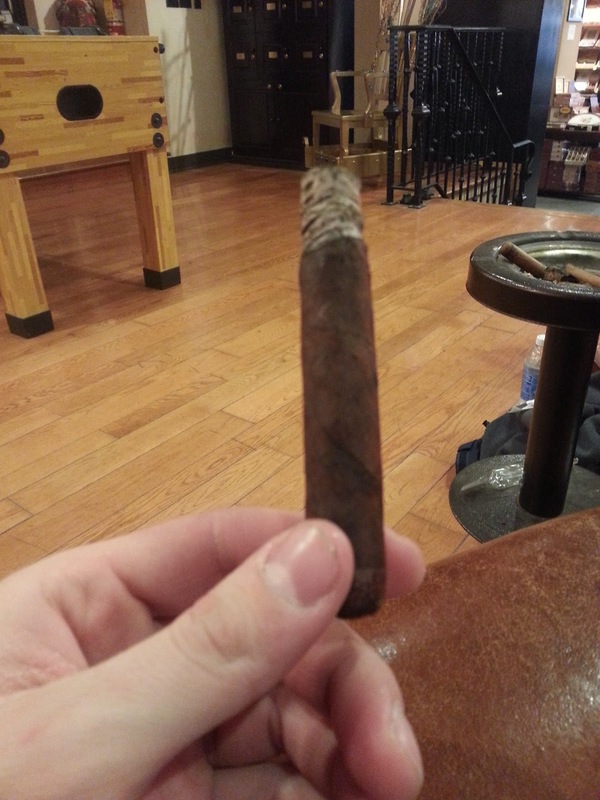 I was very pleased with the flavors that were packed into this little stick. The only comparable corona that I would smoke is the Puro Authentico from AJ Fernandez. They are 2 very different cigars, but both done well. Value (0-20): Unfortunately for me, herein lies the problem. While the cigar itself was pretty good, $6 for a corona is a bit of a stretch. If these were closer to $4, I would definitely be buying them to store away for a quicker smoke. I would much rather buy 1 LP number 9 for the price of 2 papas fritas. Overall (0-100): For the most part, I think you will either hate it or love it. I've read tons of people praising these smoked, and another large variety complaining about the short filler and price. For me, you would never know it was a short filler. Then again, the filler is pretty damn good. The price is my only snag. Drew Estates did a great job to find a use for all of those No. 9 and T52 clippings that weren't going anywhere, but I feel like the price should be dropped at least a dollar. Then again, that my opinion. I think it's at least worth a try, and you judge for yourself.